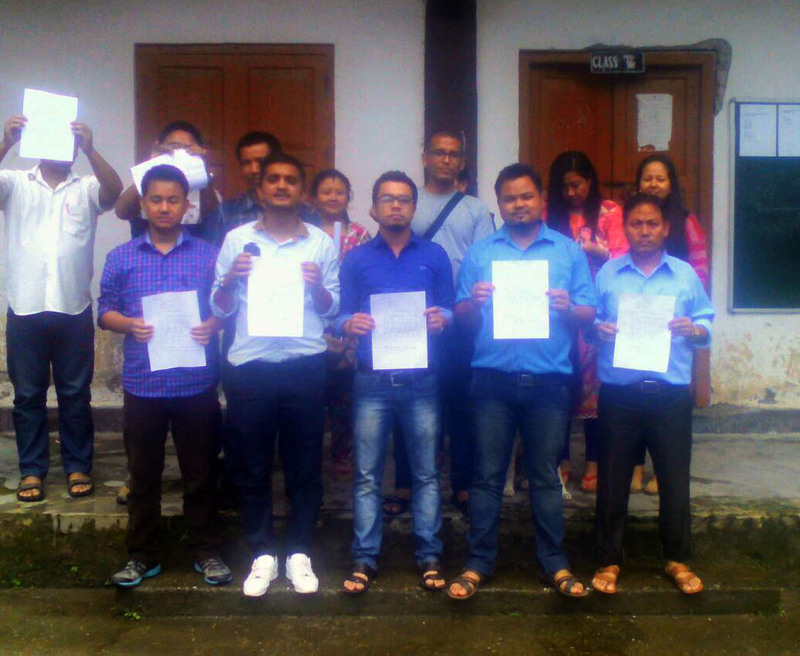 About 20 members of Janmukti Insecure Secondary teachers organization (JISTO ) have tendered their resignation to GJM Chief Bimal Gurung and joined recently formed Hills Secondary Temporary teachers organization.(HSTTO). The HSTTO which was formed on 17 July with 65 members now has 120 members with it. The meeting of new outfit was conducted by coordinator of Jaldhaka and Gairibas area D K Gurung. Roshan Chhetri , coordinator of new outfit informed that we on 22nd July faxed a memorandum to CM and Education Minister Partha Chhaterjee demanding interference of CM to uplift the education system in Darjeeling Hills and regularize the temporary teachers . He informed that one more memorandum has been posted to GTA where we have demanded that the GTA house should adopt a resolution of appointing the 515 temporary teachers and then sending the same to State. He too added that the new outfit will now focus its program in state capital. We are preparing a list of temporary teachers which we will submit to authorities in Kolkata . We will collect the names of our members only as the other has their own organization JISTO. 0 Respones to "20 new member of JISTO quit , Joins new outfit"